To mark the centenary of the historic Leeds Convention of 3 June 1917, where some 3,500 democrats and socialists pledged solidarity with the Russian Revolution and voted to set up Worker’s and Soldiers’ Councils in Britain, Leeds Trades Council and the Ford-Maguire Society with the generous support of the Lipman-Miliband Trust are holding a one day event at the Swarthmore Centre in Leeds on Saturday 3 June from 10-4pm. Speakers include Michael Meadowcroft on the Leeds Convention, John Newsinger on the Russian Revolution, Janet Douglas on Arthur Ransome, Leeds and the Russian Revolution, and Jill Liddington on ‘Leeds Suffrage Stories: Isabella Ford, Mary Gawthorpe and Leonora Cohen’. There will also be an evening event with American folk singer David Rovics performing – for those near Leeds this is not an event to be missed. 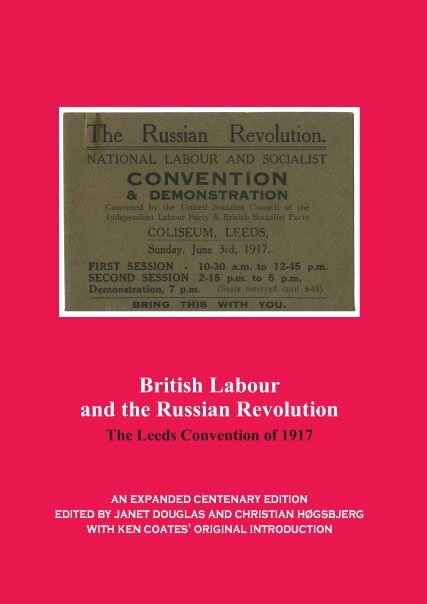 Together with Janet Douglas I have recently co-edited a new centenary edition of the proceedings of the Leeds Convention, British Labour and the Russian Revolution – The Leeds Convention of 1917 (Spokeman, 2017) which includes the original 1974 introduction to this volume by the late Ken Coates as well as new archival material and other details relating to this event which Ralph Miliband described as ‘perhaps the most remarkable gathering of the period’. 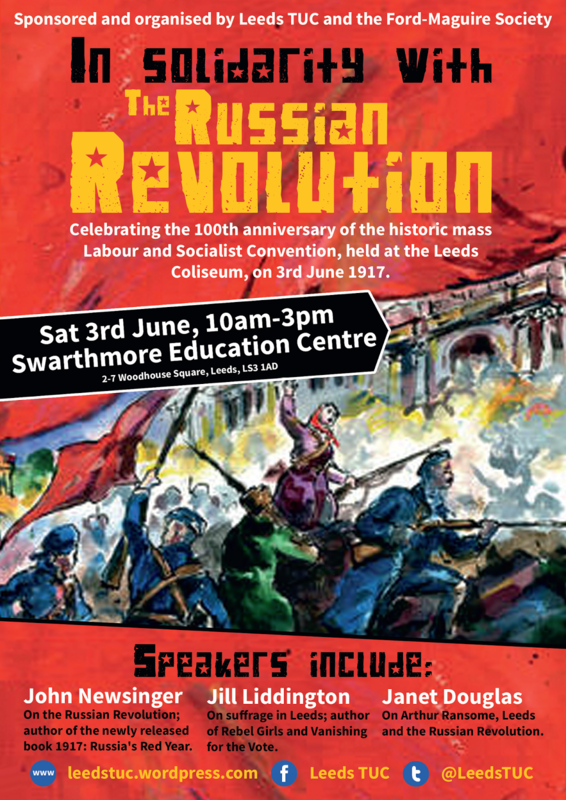 3pm – Final Remarks (inc Steve Davison, Keighley TUC) and Book Launch of ‘British Labour and the Russian Revolution – The Leeds Convention of 1917’ (Spokesman, 2017) and David Rovics leading us in singing ‘The Red Flag’ .